Here’s one essential acknowledgment for spouses of deacons from Maria Natera: Duty comes first. Her husband, Ruben, is a permanent deacon in the Diocese of Tyler, Texas, currently assigned to Prince of Peace Parish in Whitehouse. 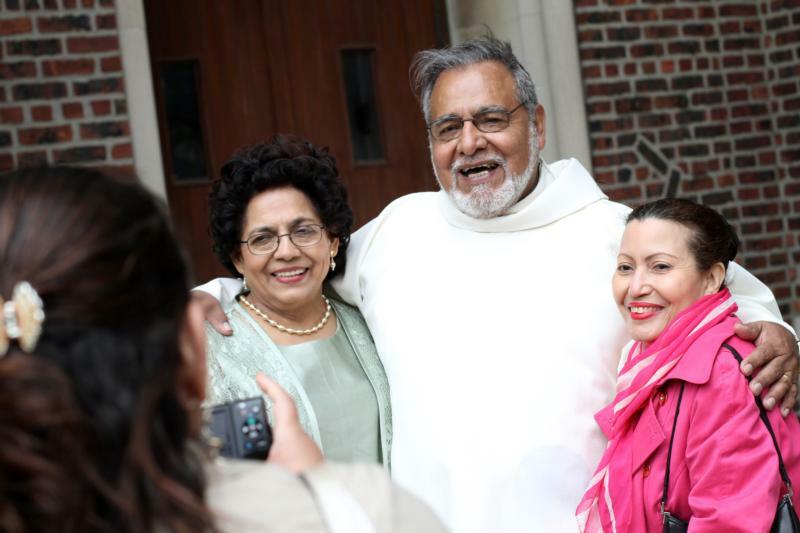 With much experience between them, both couples are frequently asked for advice about what it takes to combine the mission of the diaconate while coping with the strain it sometimes adds to marriages and family relations. It helps if the spouse is involved in a ministry of her own, they say. Tiemeier is a co-director of St. Joseph’s Women at the Well prison ministry at Logan Correctional Center, the only maximum-security prison for women in Illinois. She and her husband went through the four-year diaconate training program together, which isn’t something everyone has the time for, she knows, but she recommends it. Deacon Natera, retired as an engineer in the U.S. Forest Service, now teaches Latin as an adjunct professor at the University of Dallas, in addition to instructing candidates for the diaconate. He’s also been director of Hispanic ministries for the diocese.